The imaging lab develops innovative emerging and new biomedical diagnostic imaging capabilities. Lawson Imaging is a recognized leader in non-invasive biomedical imaging where new developments in hybrid imaging platforms (i.e. PET/MRI and PET/CT) are currently being applied to cardiology, neurology (including mental health), metabolic disease and cancer. 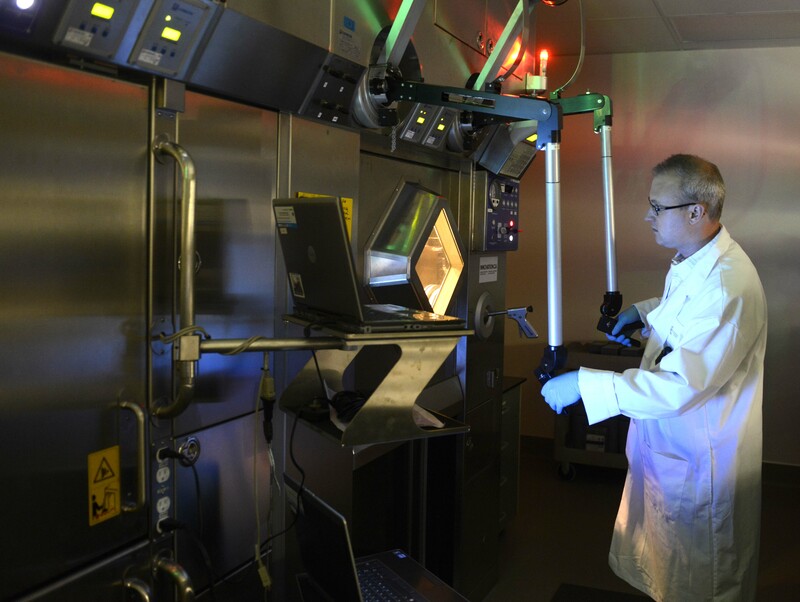 Our GMP-compliant Cyclotron & Radiochemistry Facility provides key resources for this research. Emerging technologies of photoacoustic/optical imaging and optical spectroscopy, as well as the investigation and therapeutic application of bioelectromagnetics are at the forefront of biomedical imaging. As a world leader with state-of-the-art imaging facilities, our research is focused on the development of new non-invasive diagnostic imaging capabilities to better enable the understanding of fundamental mechanisms of human biology and improve the diagnosis, prevention and treatment of disease. 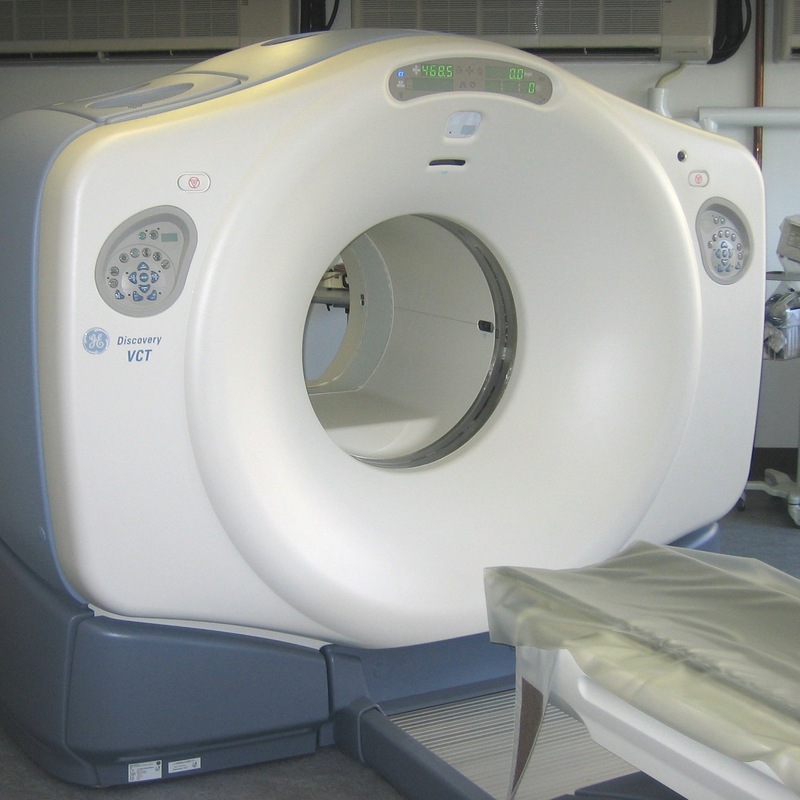 Positron emission tomography (PET) is the most advanced medical diagnostic imaging technology available today. The co-registration of the PET and CT X-ray scans provide both anatomic and metabolic information (i.e. describing what the structure is and what it is doing biochemically). The Lawson Cyclotron & Radiochemistry Facility holds a Health Canada Drug Establishment License and is fully GMP compliant. We are capable of producing PET probes labeled with F-18, C-11 and other positron emitters for clinical and preclinical PET imaging. With our high power solid target station, we are also able to produce radiometals such as Tc-99m. Near-infrared spectroscopy (NIRS) is a light-based method for assessing tissue function and viability. The ability of light, in the near-infrared range (700-1000nm), to penetrate tissue makes it possible to interrogate deep tissues non-invasively via NIRS probes placed on the skin. The advantage of NIRS is the ability to perform bedside monitoring of cerebral blood flow, including tissue oxygenation, perfusion and energy metabolism. High energy pulsed laser system is used for photoacoustic imaging. The system is mounted to an optical table and dedicated to lab use. The tunable laser in the near infrared region of the optical spectrum enables detection of blood and imaging of blood vessels. Imaging spectrometer is used to measure the optical spectrum emitted by a specimen at a series of surface locations. It is dedicated to high precision optical measurements typically made on an optical table and can record the light intensity across all the colours in the near-infrared region of the optical spectrum. A 128-channel data acquisition system dedicated to photoacoustic imaging that works in conjunction with the tunable pulsed laser system and is mounted on the optical table. It records pressure signals emitted from specimens in response to the light from the pulsed laser and has the capability to record on all 128 channels simultaneously for several hundred microseconds. This system provides the capability to acquire stop-action snapshot images of a scene, analogous to a camera with a flash. However, the shutter speed of the digital imaging system can be as short as 1/10th of a billionth of a second, enabling the imaging of fluorescence decay, which can be used to monitor a variety of biological processes. 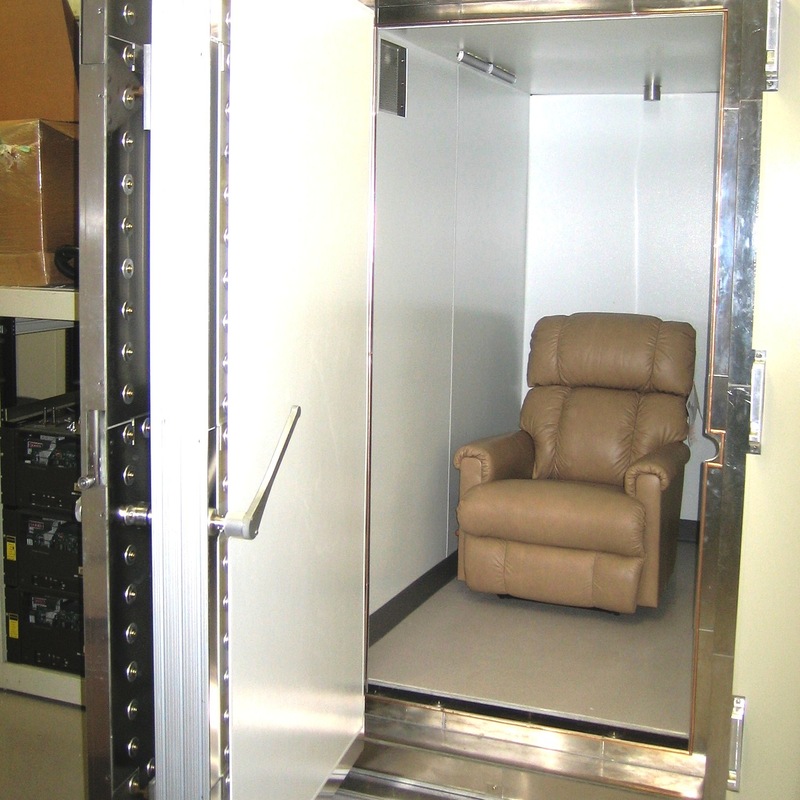 This facility includes a human size enclosure that shields from earth MF and also from environmental low frequency MFs. These 2 systems allow the study of human brain electrical activity both in an MRI environment and in a lab setting. They are used to test for the impact of specific MF stimuli on the physiological electrical brain activity in human. These 2 systems allow the study of human brain electrical activity in a lab setting and in ambulatory conditions (up to 24 hours continuously). They are used to test for the impact of specific MF stimuli on the physiological electric brain activity in humans. Medoc's PATHWAY Pain & Sensory Evaluation System is a technology that enables you to evaluate pain potential and advanced stimulator protocols. These solutions have been used to study the impact of specific magnetic stimuli on pain perception in humans, and associated brain activation, as measured with functional MRI. Human size enclosure shielding for static and low frequency environmental magnetic fields. Artificial light can be reintroduced and 128-channel EEG are equally available in both these enclosures (sham and active). This is a state of the art facility allowing for studies on both MF deprivation and reintroduction in humans.